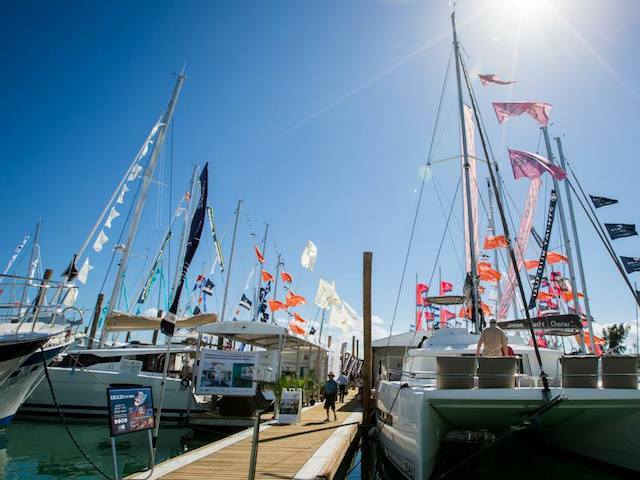 Cruising Boats, Racing Boats, Sailing Boats, Catamarans, Power Boats, Mega Yachts... all in lovely South Florida winter weather, the Miami Boat Show, one of the largest of its kind is the event you don't want to miss if you are a boating or water sport enthusiast. This is quite an impressive 5-day event held annually over the President's Day Weekend. In 2016 it moved to its new waterfront location at the Miami Marine Stadium in Virginia Key just across the Bay from downtown Miami. 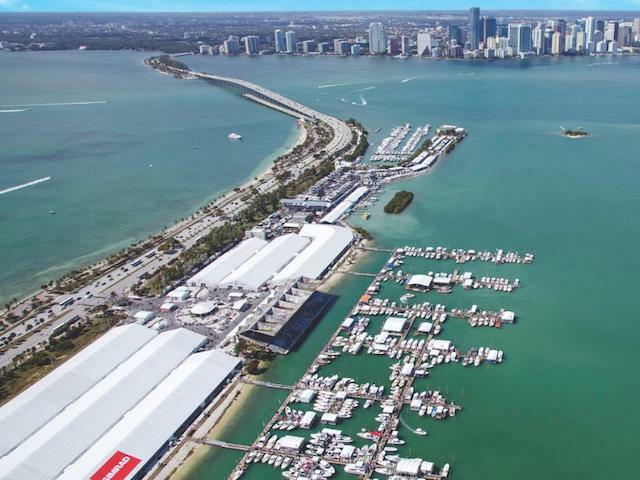 This iconic and historical site has undergone a major renovation and come boat show time, it puts together the largest temporary marina in the world with over 3 miles of dock which are able to accomodate some 550 boats in the water. The Sailing section of the boat show used to be held in a separate location but it is now all under one roof bringing the best in boating and sailing from around the globe in one splendid location. 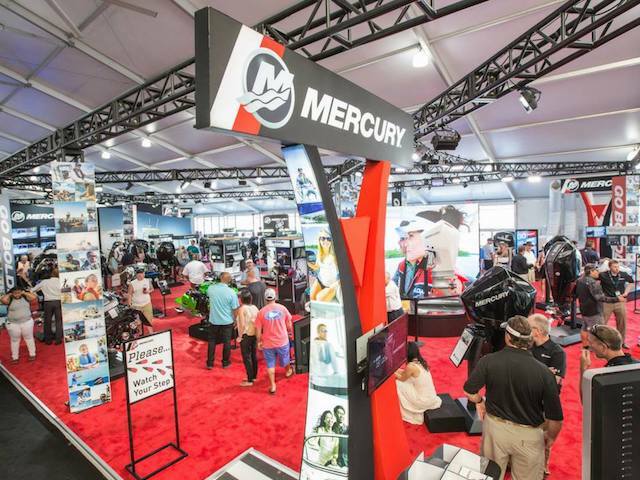 There are closed and open-air tents and pavillions that house the "trade show" part where you will find the finest in maritime products assorted per categories i.e. boats, engines, marine accessories and electronics, sport fishing, gifts and apparel, services and of course the retail pavillions. Just beyond the trade show exhibits are the Demo Docks that house hundreds of vessels in the water for demonstrations and sea trials. 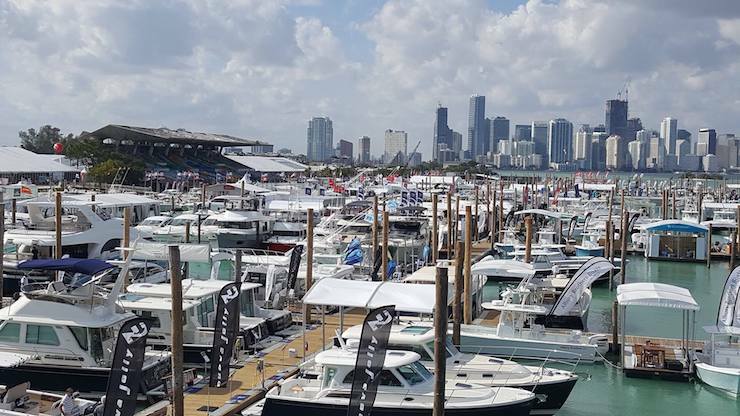 Besides all the serious boat eye candy, the Miami Boat Show offers many hands-on activities, open to the public, pros and beginners. There are seminars, boating clinics and sailing lessons, so just get in the water, there's no better way to enjoy the bay! 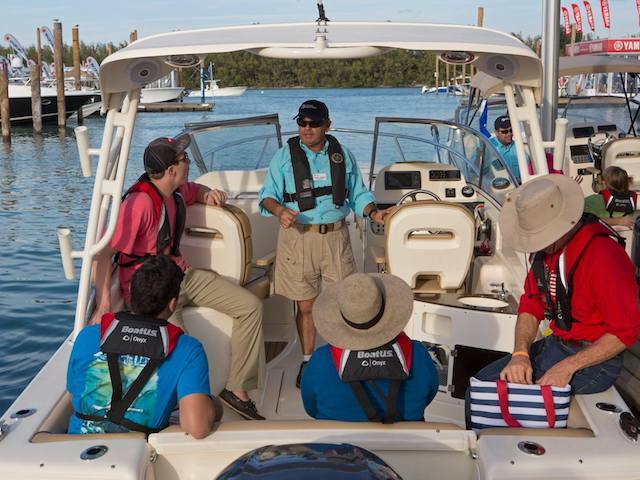 The On-The-Water Boating and Sailing Workshops are conducted by USCG licensed captains, whether you want to gain more confidence in the water or try and pilot a boat for the first time, they are suitable for all levels of skill. Literally hundreds of one, two and three-hour seminars on topics from basic docking skills, helmsmanship, anchoring, newcomer powerboaters, sailing the Florida Keys, etc. Click here for more on this year's seminars. As the show opens on Valentine's Day this year, couples events are likely to be offered once again. There is the "Two Can Sail" seminars from choosing the right boat to cruising in harmony... These events sell out quick so you need to pre-register as soon as possible! So come and enjoy a fantastic day out on the bay or just sit and relax on the waterfront and take it all in, cocktail in hand... There will be superb dining options, right on the water of course. 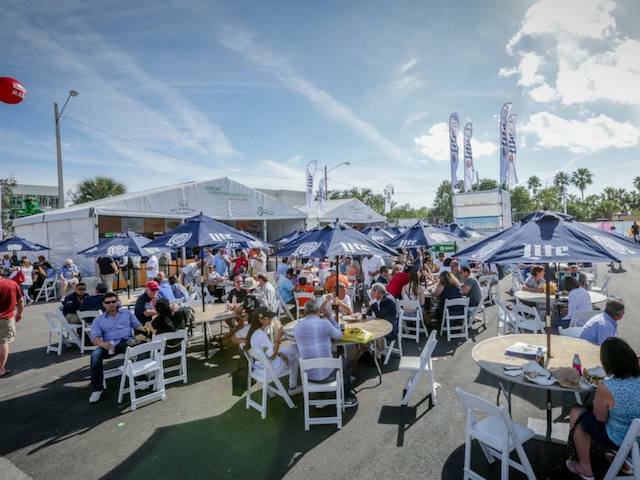 This year menus will be catered by Great Performances, who also do the Miami Open, and our favorite locals and food trucks will also make an appearance... Novecento, SuViche, Latin Café, The Knife... and if some bubbly is in order, the Moët & Chandon Lounge will be in Pier 7. Virginia Key $35 you can book your parking space online. Free Water Taxis from Bayfront Park / American Airlines Arena. You must have a ticket to board a water taxi. How Much? Adults (+13) $25 except Premier Opening Day Thursday February 14 is $40. Children 12 and under are FREE.